AHLA DC Empowering Youth Graduation Ceremony in April. NATIONAL REPORT—Youth are in need. An estimated six million people between the ages of 16-24 are considered “opportunity youth,” meaning they are out of work and unemployed. 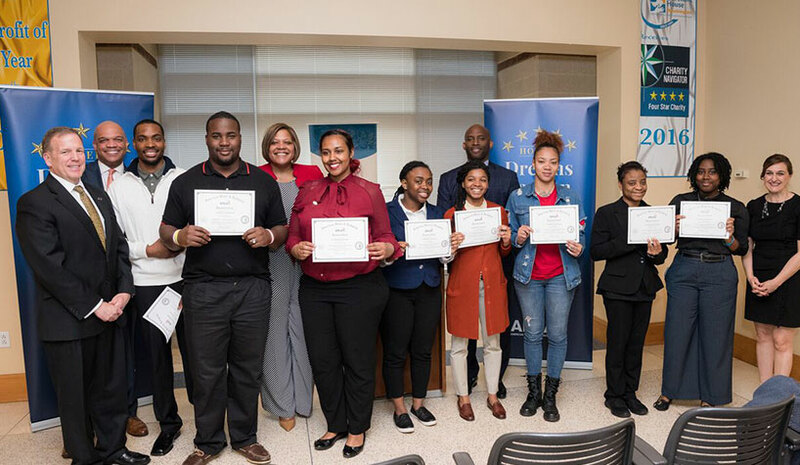 Concord Hospitality partnered with the American Hotel & Lodging Association (AHLA) on a national program to solve this problem by offering training and job opportunities within the hospitality industry to these youths. Concord Hospitality has been longtime partners with AHLA, sitting on committees and holding a position on the board. Debra Punke, SVP of human capital and communications at Concord Hospitality, noted that securing talent has been a challenge and this partnership has been a boon for boosting their employment roster. With a strong foundation, Weir believes the program has the ability to go national, helping more and more young people. “From a national perspective, our goal is to be able to scale this nationwide—that is the bottomline,” she said. “We’ll be right there to receive them,” said Punke. The community organizations are covering career know-how such as how to dress for success and deliver exceptional customer service. Emani Wilson, a recent graduate of the program and now employed full-time as a front desk agent at Concord Hospitality’s Hyatt House Washington DC/The Wharf, shared her experience.